British explorer Col. Percival Fawcett disappears while searching for a mysterious city in the Amazon in the 1920s. Taken from a true story, 2017’s The Lost City of Z adapts David Grann’s 2009 book. 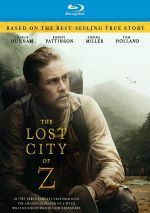 Set in the early 20th century, the Royal Geographic Society instructs British Army Major Percy Fawcett (Charlie Hunnam) to explore and map the seemingly impenetrable Bolivian jungles. During this trek, Fawcett finds evidence of a mysterious advanced society. This sets him on a determined quest to gain evidence and documentation of this “lost” tribe, a mission that brings him back to the Amazon many times as he seeks to complete his investigation. While I wouldn’t call City an old-fashioned effort, it clearly hearkens back to a more “classic” form of filmmaking. Other than its oppressive teal-oriented palette, it feels like something that could’ve been made decades earlier, as it eschews rapid editing and a mix of other modern techniques. This seems like a good thing given the subject matter. I suppose City could’ve gone for a more action-oriented, hyperactive version of the story, but the tale – with its Kipling vibe – seems better suited to this semi-staid, disciplined depiction. I like the sense of restraint on display here, as writer/director James Gray’s choices benefit the story. Even with all the adventure involved, Gray maintains a solid character orientation, one that leaves Fawcett firmly at the center where he belongs. The movie gives us a concise, involving take on the lead character, and Hunnam brings him to life well. He avoids melodramatic tendencies and evokes various aspects of the role in a convincing manner. Key to the movie’s success is its depiction of obsession without verging into a showy view of madness. Normally a movie like City would give the lead a kooky Ahab-style feel, but Fawcett remains surprisingly sane and focused – at least in appearance. While we see the way his obsession impacts his life, Fawcett doesn’t come across like some wild-eyed nutbag, and the film benefits from that choice. At nearly two and a half hours, City may run a little long, but that said, I can’t find a lot of flab in the story. Instead, we get an engrossing tale of exploration and obsession with this high-quality effort. The Lost City of Z appears in an aspect ratio of approximately 2.39:1 on this Blu-ray Disc. Across the board, this was an accurate transfer. Sharpness largely looked strong. A little softness affected some wider elements, but the movie usually gave us a tight, well-defined image. Jagged edges and moiré effects remained absent, while edge haloes failed to appear. Print flaws stayed absent as well. Like many modern films, City went mainly with teal and orange – especially teal, as the image showed a heavy green-ish orientation. These tones seemed predictable, but they worked fine within the movie’s design parameters and showed good delineation. Blacks were dark and tight, while shadows usually showed nice clarity and smoothness; a few scenes were a bit dense, but those weren’t an issue. I felt this was a consistently strong image. I also felt pleased with the film’s DTS-HD MA 5.1 soundtrack, as the mix used the channels in an involving manner throughout the majority of the film. This mainly reflected jungle ambience, with a lot of natural information around the room. Add to that music as a bold partner and the soundscape turned into an involving experience. Audio quality always satisfied. Music was dynamic and full, and effects followed suit, so those components came across as accurate and well-developed. Speech seemed distinctive and crisp, without edginess or other issues. This mix suited the story. We get a few extras, and these open with an audio commentary from writer/director James Gray. He provides a running, screen-specific look at the source and its adaptation, story/characters, sets and locations, cast and performances, historical elements, music, effects, and related elements. Gray delivers a simply terrific commentary. He covers a wide array of subjects and does so with energy and gusto. These factors turn this into a consistently excellent and deep discussion of the film. Two short featurettes follow: “Adventure in the Jungle” (2:21), and “From Novel to Screen” (3:10). In these, we hear from Gray, author David Grann and actors Charlie Hunnam, Sienna Miller, Robert Pattison, and Tom Holland. Both deliver superficial promo pieces. An Expedition Journal splits into two domains: “Exploring the Journey” and “Creating the Journey”. These offer collections of stills, with 36 shots in “Exploring” and 33 in “Creating”. The “journal” format offers a creative backdrop for a standard photo gallery. The disc opens with an ad for The Salesman. No trailer for City appears here. A historical view of exploration and its impact on the human psyche, The Lost City of Z delivers an engrossing tale. It boasts excellent production values, acting and story-telling, all of which make it a fine film. 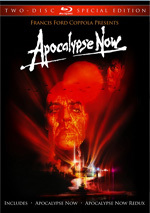 The Blu-ray offers strong picture and audio along with an excellent commentary. City turns into a solid dramatic effort.